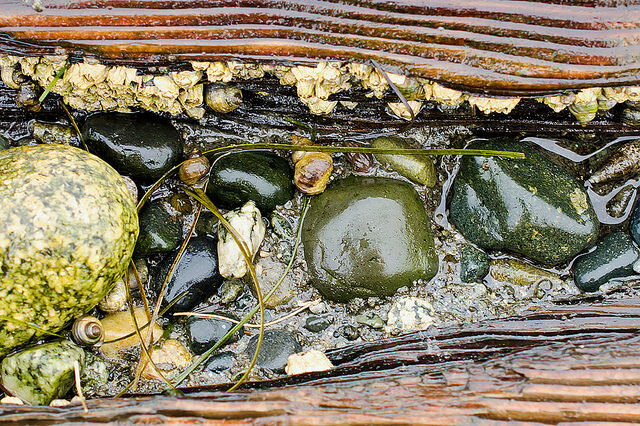 Intertidal invertebrates in a rotting log on Boundary Bay beach. Photo by Susannah Anderson. We are pleased to announce the theme of this year’s print issue of Sage Magazine: Boundaries. Boundaries can be political or geographic, literal or metaphorical, physical or mental. An investigative piece looking at the fracking debate from a New York and Pennsylvanian perspective, an explainer regarding the dual nature of lichens, or a profile of an environmental scientist and activist might all find a home in the issue we’re imagining. Better yet? The ideas you’re already investigating. Feature length pieces: 1,000-4,000 words. These should have a compelling narrative and the research to back it up. Pitches should outline the thrust of the story, the sources you’ve interviewed (or plan to interview), an overview of your writing chops, and the reason you think your piece will be of interest to a broad audience passionate about environmental issues. In this category, we will also consider profiles of people whose environmental occupations or avocations cross traditional boundaries. Update pieces: 200-500 words. These stories have a strong timely hook, but also situate the news in a longer arc of research. Examples of topics include the launch of a new remote sensing satellite, the completion of a trek across Antarctica, or the effort of one group to re-establish coral reefs. We encourage newer writers to pitch us in this category. Maps, artwork and data visualizations: This year’s print edition will be in stunning color—let’s take advantage with a beautiful map or other data visualizations. Have an amazing GIS project or artwork you want to share? Let us know. Email your pitch to sagemagazine@gmail.com by Monday, January 19. Please specify “Print issue pitch” in the subject line. SAGE Magazine is a publication of the Yale School of Forestry & Environmental Studies.